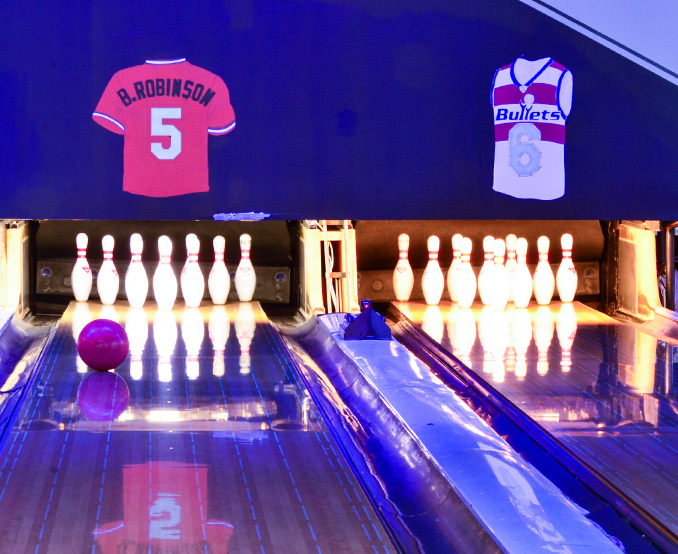 Mustang Alley’s features 12 regulation lanes for bowlers of any skill level. Our 4 duckpin and 8 ten-pin lanes come equipped with tables and booth seating so bowlers can eat, drink and bowl at the same time. You don’t ever need to leave your lane if you don’t want with our friendly and attentive servers taking your food and beverage orders lane side. Whether you are a beginner or expert, a diehard tenpin bowler or an old school duckpin bowler, Mustang Alley’s is the bowling alley for you! Lanes fill up quickly; reserve ahead! Now offering online booking for groups of 1-12 people!